Teeth whitening is one of the fastest, most efficient ways to improve the look of your smile – a whiter smile looks younger and healthier. Teeth whitening can be completed quickly and easily with the help of your dentist. Many of Dr. Levenson's patients are unhappy with the color of their teeth due to age, personal habits, or staining from food, drinks, or medications. Teeth whitening is the best solution for improving the color and tint of one's teeth. 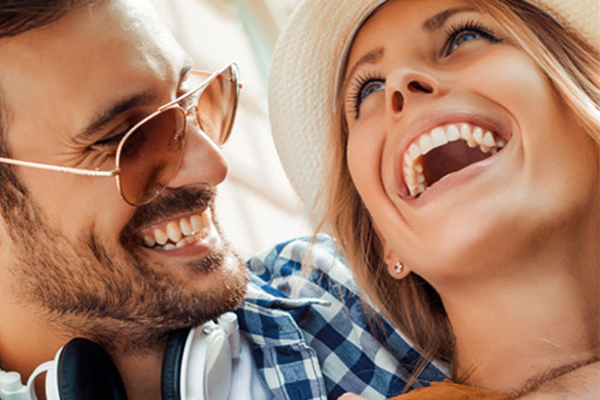 Dr. Levenson offers a variety of teeth whitening options at his practice. He has three popular choices: in-office treatment, at-home treatment, and the KöR deep bleaching solution. All are safe, effective ways to brighten your smile, and each one has special benefits. However, Dr. Levenson prefers the KöR deep bleaching technique, which is one of the finest bleaching systems on the market today. KöR utilizes an in-office treatment, as well as specialized trays and product to use at home. This combination treatment offers the best, long-lasting results. KöR whitens deep staining and yellowed, discolored teeth efficiently. Dr. Levenson is a Fellow of the Academy of Comprehensive Esthetics, and has had hundreds of hours of training in all aspects of cosmetic dentistry. He is one of less than a hundred dentists in the country with that level of experience and credibility. It's only natural to want Dr. Levenson and his team to handle your cosmetic dental procedures such as teeth whitening. Want to whiten your teeth today? Call Dr. Levenson to schedule an appointment and be on your way to a whiter, brighter smile in no time at all!